BINARY CREED is a Progressive Metal band from Umeå in Sweden. In 2014 Stefan Rådlund (ex-M.A.D) and Andreas Stoltz (ex-Hollow, ex-Auberon) started together with as a progressive metal project and they formed the band. 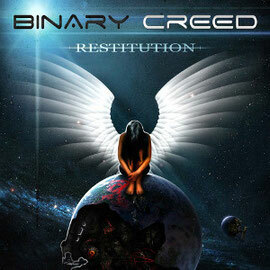 Shortly BINARY CREED has released their debut album entitled "Restitution" independently. "Restitution" is a concept album about a young person’s struggle with inner demons, she seeks temporary refuge in religion but finally comes to terms with her life, and that religion is not an answer. Also this album is a result of both musicians; Stefan who has a number of musical ideas and Andreas who has experiences as the driving force in his previous metal band Hollow. Their debut album "Restitution" was done at home mainly using some Cloud Services and DAWs (digital audio workstations), and mixed & Mastered by Ronnie Björnström (Bone Gnawer, Revolting, Paganizer) at EAP Productions. 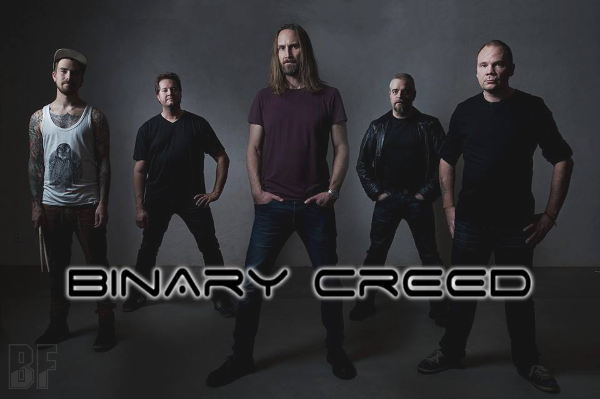 If you are a fan of Dream Theater, Symphony X, Devin Townsend, Sanctuary, you should check out BINARY CREED.